Beach Haven, also known as the “Queen City,” is a beach-front resort town originally established in 1873 to house wealthy summer residents from the city of Philadelphia. Though some of the major structures, including several hotels and a boardwalk, were lost to storms in the 1940s a large portion of the town retains its Victorian character. Its municipal court remains surprisingly active handling many disorderly persons cases from surrounding areas. At Bronzino Law Firm, LLC, we understand that, in reality, there are no minor municipal court proceedings. We understand that the issues in municipal court can have a profound effect on ones life and can be stressful for individuals as well as their families. Our team works hand in hand with all our clients throughout the legal process to deliver highly personalized and effective legal solutions. We are ready to aggressively defend you as well as your rights in court. The Beach Haven Municipal Court resides at 300 Engleside Ave, Beach Haven NJ 08008. The telephone number of the municipal court is (609) 492-4548. Office hours are 9:00 a.m. to 4:00 p.m., Monday to Friday. The presiding judge is Honorable Stacey Kerr. The Court Administrator is Lauren Campellone. Within the 2.320 square miles of this borough the Beach Haven Municipal Court handles all disorderly persons and petty disorderly persons offenses issued. These charges are commonly referred to as misdemeanors. In addition, the municipal court also presides over all traffic ticket and summonses written by members of the Beach Haven Police Department. The Borough of Beach Haven Police Department is located at 300 Engleside Ave, Beach Haven New Jersey 08008, and can be reached by phone at (609) 492-0111. 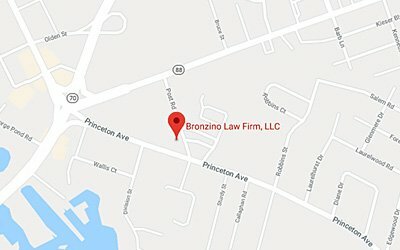 As with other small municipal courts, the Beach Haven Municipal Court has limited jurisdiction to decide cases involving criminal charges such as disorderly conduct, marijuana possession, simple assault, obstructing the administration of law, underage drinking, harassment as well as resisting arrest. In addition, it also has authority to preside over vehicle violations that include DWI, Driving on a Suspended Licence, Driving Without Insurance, reckless driving and speeding. It is important to note that although offenses in the municipal court are not as serious as indictable crimes they nevertheless can result in up to 6 months in the county jail. For this reason it is important for you to secure representation by a skilled criminal attorney if you are facing a charge in Beach Haven Municipal Court. 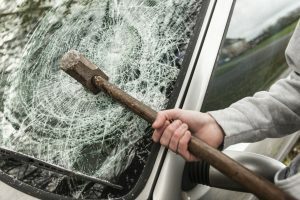 Improper behavior can include fighting, threatening, committing violent or tumultuous act as well as creating a hazardous or physically dangerous condition which serves no legitimate purpose. If you are facing a disorderly conduct or persons charge it is critical to retain a skilled and experienced attorney as soon as you can in order to avoid serous fines as a well as possible jail time. Any court proceeding can be potentially be a very serious situation. Especially if you are facing serous traffic or criminal charges such as disorderly conduct. Bronzino Law Firm LLC understands that the issues in municipal court can be stressful. That is why our attorneys work closely with our clients throughout the legal process to deliver personalized and very effective legal solutions. We are the partner you need when facing any municipal court proceeding in Beach Haven. 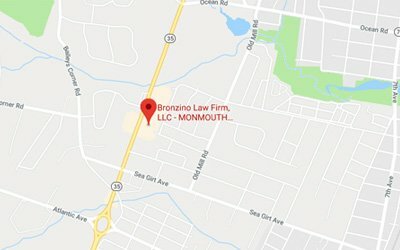 Bronzino Law Firm will work to protect your rights across Monmouth and Ocean Cunties. For additional information and the answers to your pressing questions, contact the Bronzino Law Firm, LLC, serving Ocean and Monmouth counties. Call at 732-812-3102 or contact us online to schedule a free initial consultation with an attorney to retain the experienced representation that you need.